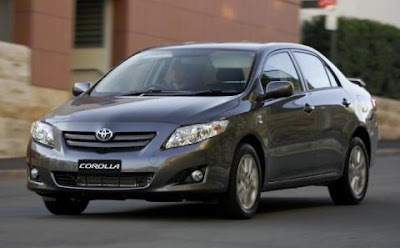 First Corolla was launched in India by Toyota in 2003 and since then the same model showed up without any major changes. 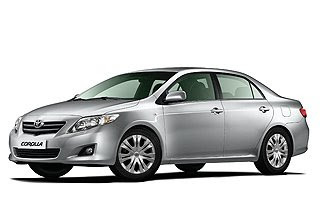 Honda Civic's popularity must've been the cause of corolla's face lift, the new corolla look is although inspired by Camry, yet looks impressing. Now it's time to talk about it's interior's and engine.New corolla is far more stable on road if compared to old corolla, it maintains it's grip even on high speeds, interiors are cool but did'nt looked much changed other than the electric steering which feels numb 'coz it kills every feeling of road.It's seat is bit high than that of Civic and so corolla gets a point there.While sitting inside the car its relaxing to know that outer world's noise had been reduced to very low, quite & calm driving pleasure is again giving Corolla a feeling of a bigger car. Developing 124bhp, this new motor could provide Toyota an opportunity to bridge the gap between the Honda City VTEC and the Civic. It won’t be slow either — Toyota claims a 0-100kph time of 10.4 seconds and a top speed of 195kph, and that’s plenty.